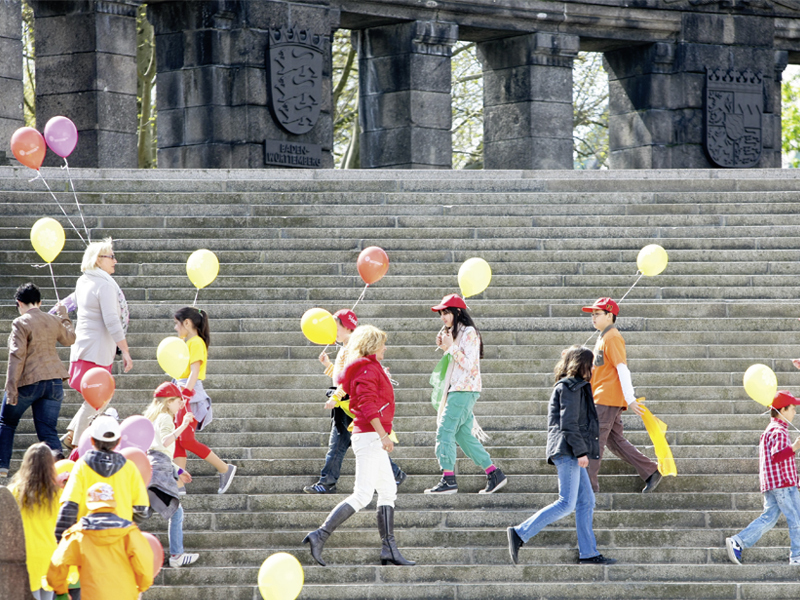 The establishment of the Teutonic Order at the confluence of the Rhine and Moselle in 1216 gave this historic site its name, the “Deutsches Eck” (“German Corner”). 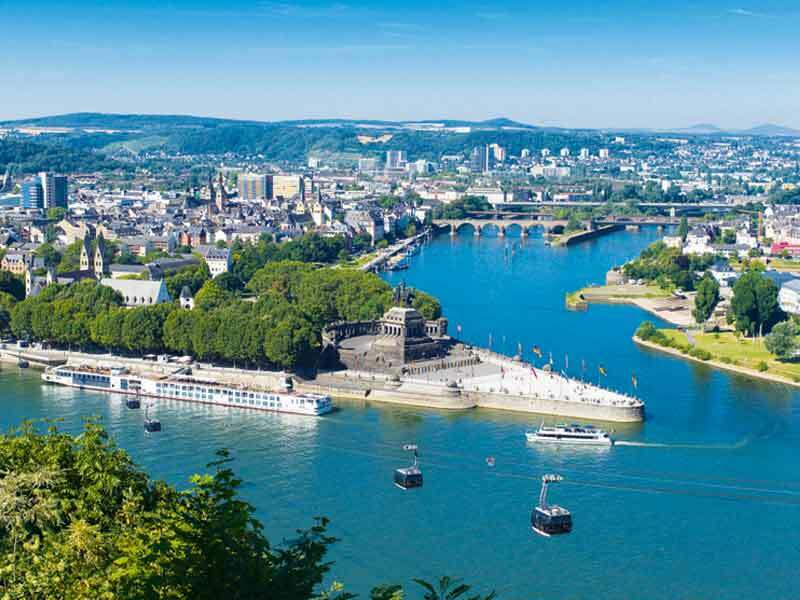 Koblenz also owes its name to the meeting point of the Rhine and the Moselle - from “Castellum apud Confluentes”, Latin for “fort at the confluence”, which over time became the current name of Koblenz. 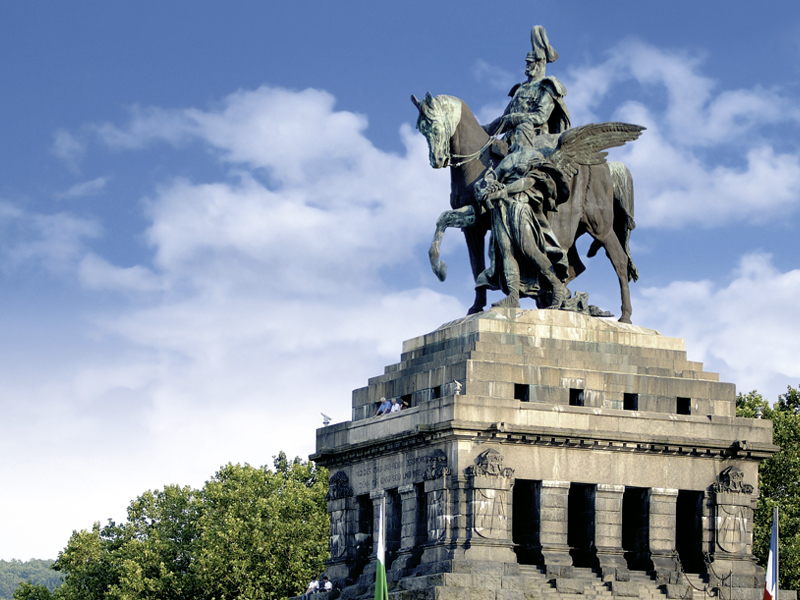 Shortly after Kaiser Wilhelm I’s death, the idea arose of creating a memorial to him, as it was the Kaiser who had brought about the unification of Germany after three years of war. 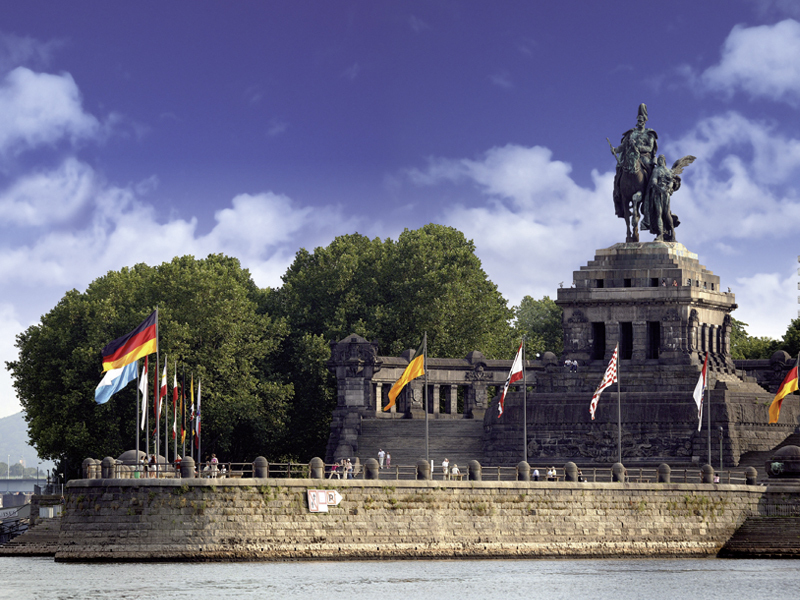 Three years later in 1891, Kaiser Wilhelm II, the grandson of the deceased, chose the Deutsches Eck in Koblenz as the most suitable location. 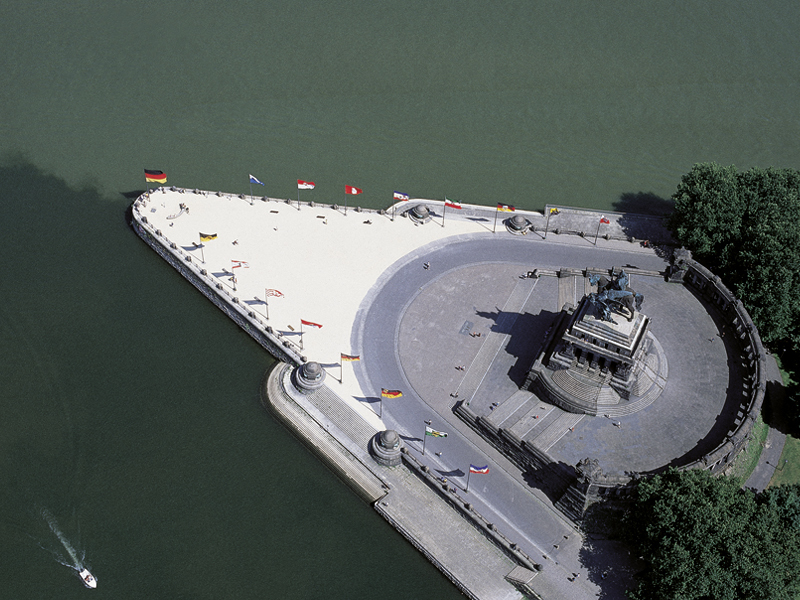 A harbour of refuge in the Moselle estuary was filled in to create space for the memorial. 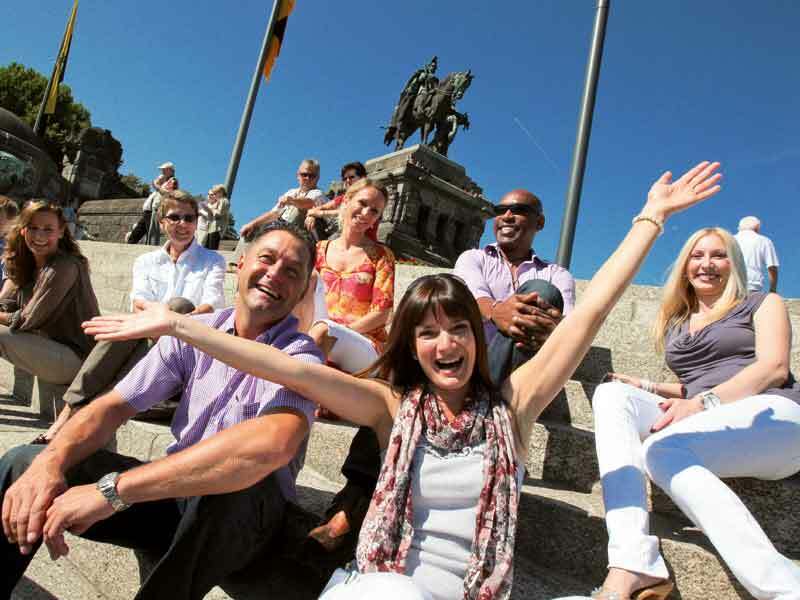 The Deutsches Eck in its present form was created. 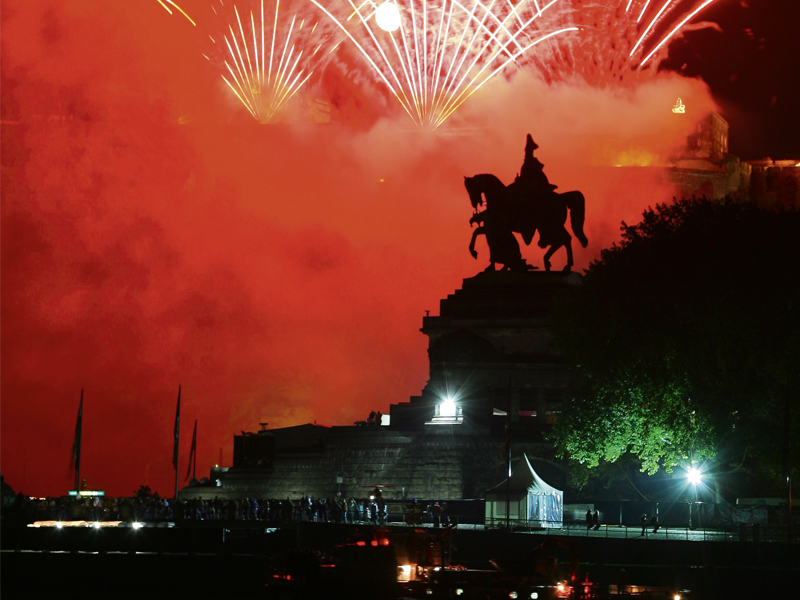 On 31st August 1897 the copper memorial of Kaiser Wilhelm I was inaugurated in the presence of Kaiser Wilhelm II. 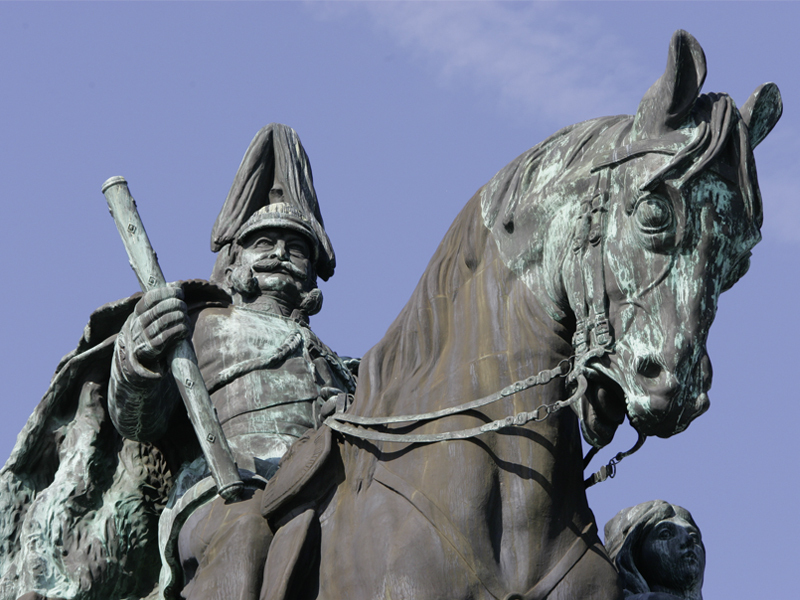 Destroyed during artillery shelling in March 1945, Theodor Heuß dedicated the riderless pedestal as a memorial to German unity in 1953. 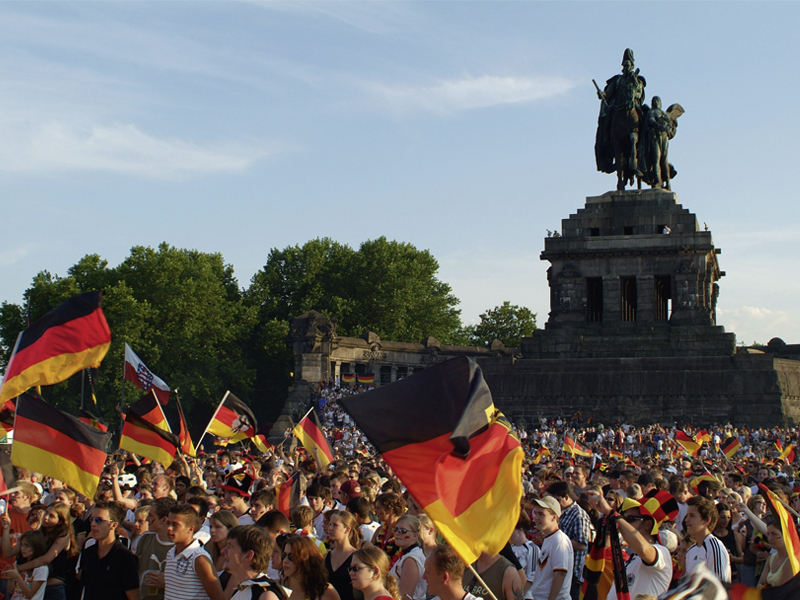 It housed a flag pole with the German flag until 1993. A reconstruction of the memorial was finally raised onto the pedestal in the autumn of 1993. 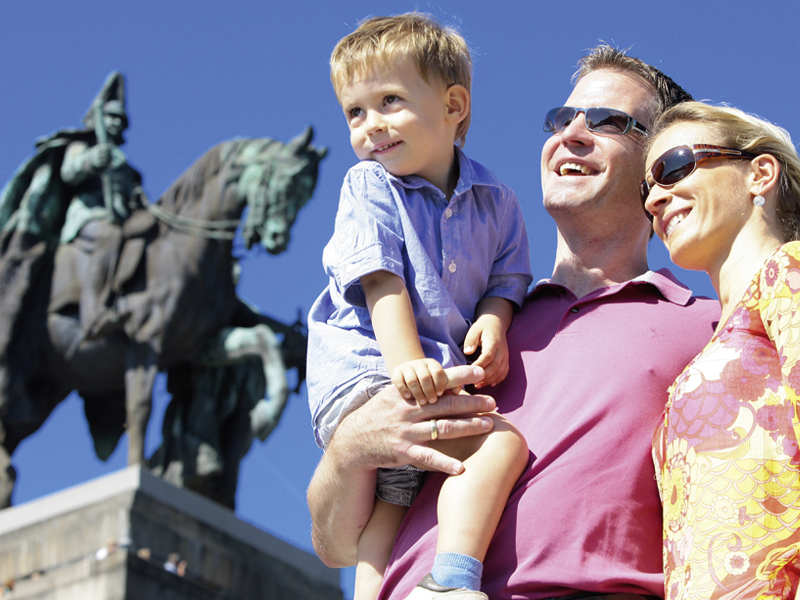 The 37-metre high monument - 14 metres of which is the equestrian statue of Kaiser Wilhelm I - is now a tourist magnet for over 2 million people per year and has been part of the UNESCO “Upper Middle Rhine Valley” world heritage site since 2002.